Your Virtual Coach. Win at Work. Succed in Life. Invest In Yourself and Accelerate Your Business's Growth. Envision It, Believe You Can Do It, & Make It Happen! I want to welcome you to the first episode of a series of videos where I will be sharing all of the strategies, ideas, processes, and experience on running a highly profitable and successful moving company. I will also explain why I decided to become the moving business mentor. If you’re like most of my readers, you’re committed to profit in business and thrive in life. But the truth is, you struggle with which areas of your business to focus on that will make the biggest impact in your business today. That’s exactly why I wrote my new eBook, 10 Rules of A Profitable Moving Company. 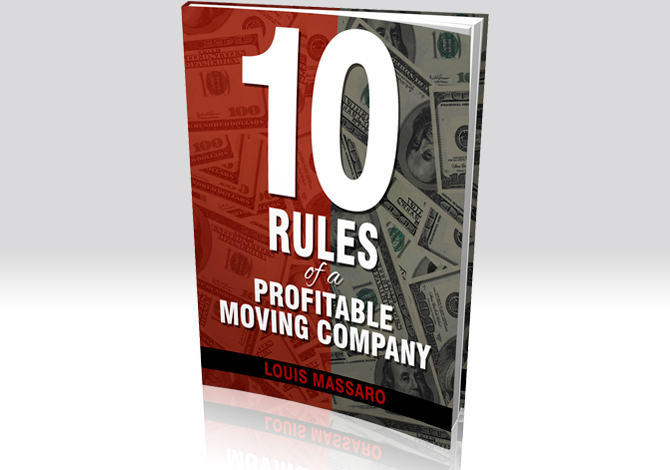 You can’t buy 10 Rules of A Profitable Moving Company. There’s only one way to get it – by subscribing to my free email newsletter. 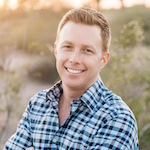 I’m Louis Massaro, author of 10 Rules of a Profitable Moving Company and the founder of Moving Mastery, a mentoring and education company dedicated to helping entrepreneurs in the moving industry increase profits by implementing proven strategies in marketing, sales, and operations. I help entrepreneurs and business owners unlock their companies’ full potential so that they can not only make more money but live a more balanced, fun and fulfilling life. When I opened my first company in 2000, I was a 19-year-old kid that started by placing an ad in the yellow pages and renting trucks. At first, my office was the parking lot of the truck rental yard where I dispatched the crews out of my car. I was struggling to operate on a shoestring budget and maxed out credit cards. It was not a professional set up. When drivers and helpers came for an interview they thought it was a joke. Although it wasn’t an easy start, every obstacle and setback were opportunities to learn. It took me a few years of making a ton of mistakes and constantly saying to myself “there’s got to be a better way to do this” before I really developed a solid process and system. I finally mastered a system for running a very profitable moving & storage company, while also discovering how to have balance in my life and not work crazy hours. I took that system and started opening up several offices in cities throughout the US where we sold over $20 Million per year in moves. Are You Spot Checking Moves? Should You Diversify Your Moving Business? Learn the strategies I used to start, build and grow a multi-million dollar moving empire. ©2019 Moving Mastery. All Rights Reserved.